Despite recent headlines about Donald Trump’s remarks about women and multiple allegations of sexual assault, some of his female supporters remain steadfastly loyal to him. (Courtesy Toni Halt Kramer) The founding Trumpettes members, pictured here, are Janet Levy, Suzi Goldsmith, Terry Lee Ebert Mendozza and Toni Holt Kramer. Holt Kramer, a one-time entertainment reporter, says she is the founder of the Trumpettes -- although there are two organizations with similar names and some dispute over who founded what and when. Pictures of Holt Kramer and Trump adorn her Bel Air, California, mansion. But at one point, Holt Kramer said she was friends with Trump’s Democratic opponent, Hillary Clinton. 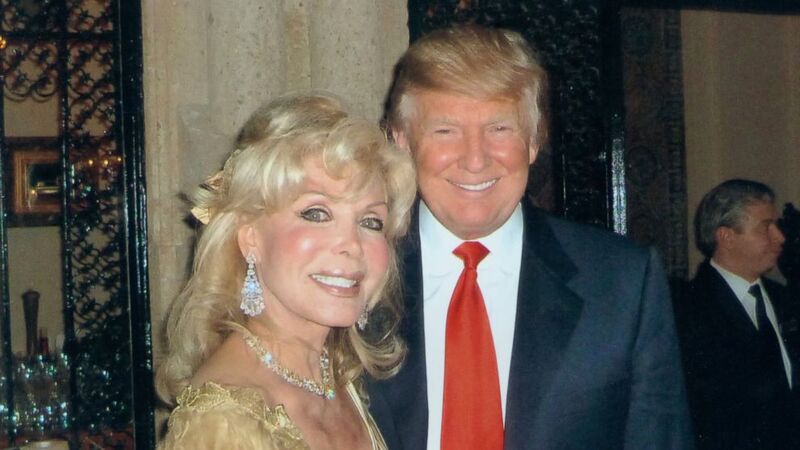 (Courtesy Toni Halt Kramer) Trumpettes founder Toni Halt Kramer poses with Republican presidential nominee Donald Trump. 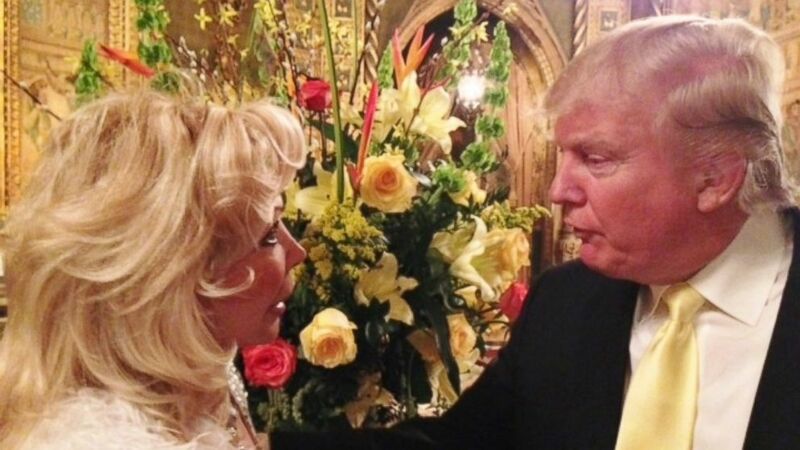 (Courtesy Toni Halt Kramer) Trumpettes founder Toni Halt Kramer is pictured here talking to Donald Trump. 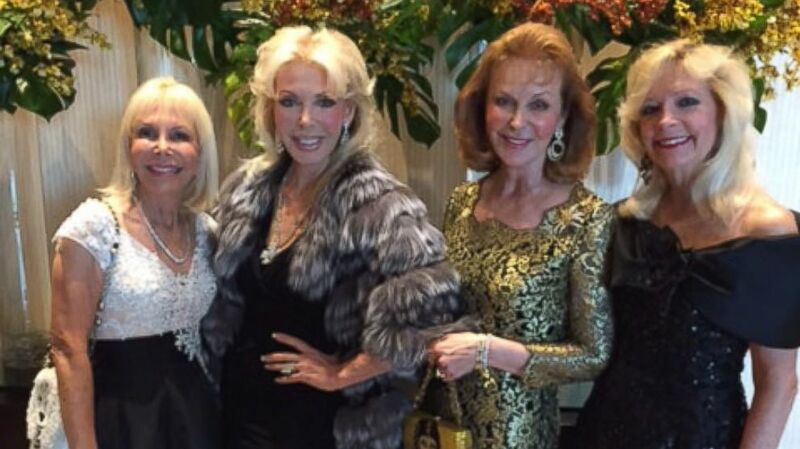 Many members of the Trumpettes are women who belong to high society across the country. One of Holt Kramer’s fellow Trumpettes is Rhoda Shear, the former host of “Up All Night” and a successful lingerie entrepreneur. Shear said she has hosted fundraisers for the Trump and Pence ticket. “I can’t tell you [how much I’ve raised]. I’m doing well, though. And it’s not easy,” Shear said. But when the recording of Trump having a foul-mouthed exchange with then-“Access Hollywood” host Billy Bush about how Trump tried to have an affair with a married woman and how he makes moves on women was leaked, Shear said she believed Clinton’s campaign was behind it. “I was mortified that the tape came out. At that time I felt like, ‘Wow, you know, if Pence perhaps was the presidential candidate, then maybe all of this would calm down.’ No, no, I mean it did calm down for me very quickly. It wasn't a shock what he said. It was a shock it came out. I don't doubt the Hillary campaign put that out,” Shear said. And at her home in St. Petersburg, Florida, Shear is back to hosting fundraisers for Trump. “I happen to have a few friends here that are women ... who have heard all of those things and are still Trumpettes, have not changed their mind and are completely for Donald Trump,” Shear said. Shear also discussed the women accusing Trump of inappropriate behavior throughout the years. Like Trump, Shear and some of her fellow Trumpettes blame the media for Trump’s recent troubles. “I am on Facebook and all over my social media and I express my feelings about Trump I am completely slashed, put down, called stupid when people don't even know me,” Shear said. One of the women, Carol Connors, an Oscar nominated songwriter and one-time singer with the Teddy Bears, told “Nightline” she’s now an undecided voter and that she’s not officially a Trumpette anymore. But Connors said she still supports her friends. 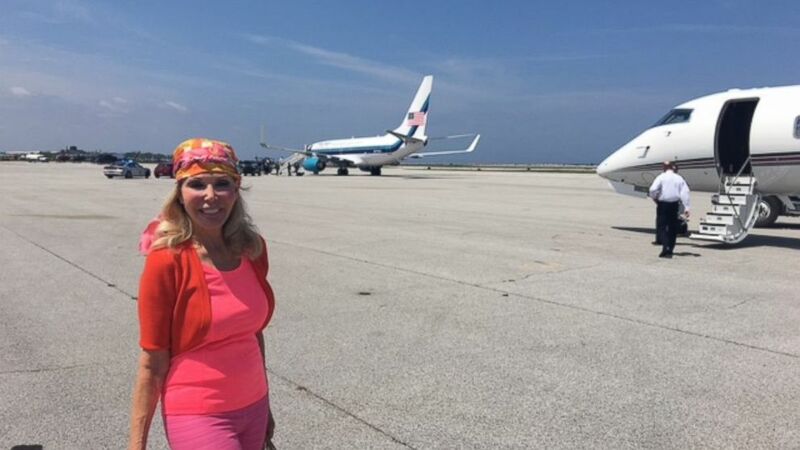 (ABC News) Trumpettes founder Toni Halt Kramer is pictured here with Donald Trump's plane. Holt Kramer said she accepted Trump’s apology for his remarks. “No woman would like to hear that. But nevertheless, that was 11 years ago. He did apologize. He did say he was sorry,” Holt Kramer said. And as for the women alleging inappropriate behavior by Trump, Holt Kramer said it doesn’t concern her. “It’s not important to me whether she was assaulted. How do I know what happened? And I’m not even going to go there. It’s a campaign to annihilate Mr. Trump. And Mr. Trump is the only one getting back to the issues. Who cares about these women! I don’t know their background. You don’t know their background and I don’t want to know! What I do know is Mr. Trump is only doing this for one reason: because he loves America,” Holt Kramer said. ABC News' Nick Watt contributed to this report.